Abidjan, 30 June 2015: Azito Energie SA (“Azito”) today celebrated the commercial start-up of Phase 3 of its 430 MW combined-cycle gas turbine (“CCGT”) power plant in Abidjan with an onsite inauguration ceremony held in the presence of His Excellency Alassane Ouattara, President of the Republic of Côte d’Ivoire (Ivory Coast), Prince Rahim Aga Khan, son of His Highness the Aga Khan (founder and chairman of the Aga Khan Development Network) and Globeleq executives led by Mikael Karlsson, CEO of Globeleq. Azito is now one of the most modern, efficient power plants in West Africa, providing 25 percent of Côte d’Ivoire’s electricity capacity. The newly built Phase 3 adds 10 percent more affordable and reliable electricity to the country. “This clearly demonstrates what can be achieved when governments, the international financing community and the private sector act in close cooperation to develop sub-Saharan Africa’s energy sector. Côte d’Ivoire, the world’s top cocoa producer and Francophone West Africa’s largest economy, has been inhibited by a lack of dependable electricity infrastructure even as it emerges as a regional power hub. The need for reliable and efficient power supplies has become increasingly urgent, as the country’s economic growth is dependent on it. The Azito Power Plant will help address this need. Côte d’Ivoire already exports electricity to Ghana, Burkina Faso, Benin, Togo and Mali, all on the same network, and has plans to add Liberia, Guinea and Sierra Leone to its grid. In "Fund for Economic Development"
A Profile of the Azito Energie Project in West Africa In "Africa"
ABIDJAN, Côte d’Ivoire--(BUSINESS WIRE)--Azito Energie SA (‘Azito’) today celebrates the commercial start-up of Phase 3 of its 430 MW combined-cycle gas turbine (‘CCGT’) Power Plant in Abidjan with an onsite inauguration ceremony held in the presence of His Excellency, President Alassane Ouattara, President of the Republic of Côte d’Ivoire. Azito is now one of the most modern, efficient power plants in West Africa and will provide one-quarter (25%) of Cote d’Ivoire’s current total electricity capacity. The newly built Phase 3 of the Azito Power Plant adds ten percent (10%) more affordable and reliable electricity to the country. Including the recent capacity expansion, the total investment in the Azito Power Plant amounts to USD615 million. Phase 3 was financed by shareholder equity, and loans from international and bilateral development agencies. Hyundai Engineering and Construction Co Ltd, the engineering, procurement and construction contractor, completed the expansion earlier in 2015. During the peak of construction, the plant’s expansion created more than 1,300 jobs of which more than 60% were met by local employment. Côte d’Ivoire, Francophone West Africa's largest economy, is an emerging regional power hub that has been in urgent need of increased reliable and efficient power supplies to stimulate the country’s economic growth. The Azito Power Plant will contribute to the industrialisation of the country, which has been inhibited by a lack of dependable electricity infrastructure. The Azito power plant is located close to Abidjan, the Ivorian capital, at 6 km from the port. The plant has been in operation since 1999. The original simple cycle facility of 290 MW has been converted to a 430 MW CCGT power plant via the addition of a condensing steam turbine, powered by the gas turbines exhaust heat. This has increased electricity output by almost 50%, with no incremental gas consumption. In addition to increase energy efficiency, CCGT technology also reduces emissions. For more information, visit azitoenergie.com. Aga Khan Foundation boosts Kilifi County agricultural projects. Kilifi county government is set to partner with Aga Khan foundation to revive the long forgotten agricultural projects in the County with an aim of boosting the county agricultural sector and economy in general. Through an MOU signed between the county department of Agriculture and the Aga Khan Foundation all stalled agricultural projects will also be revived to create more job opportunities and improve living standards of the county residents. Said the foundation will ensure the projects are owned by the community. “Today we are here to sign the memorandum of understanding with the county department and identify the projects areas,” said Atrash. The foundation is yet to disclose the exact amount of money to be pumped into the revival of projects. The County Executive member for agriculture, fisheries and livestock Mwalimu Menza however said the county government has allocated Ksh. 280 millions for development projects. “These projects include School farming will help increase food security in schools,” said Mwalimu. The projects will commence immediately and already officers from both parties have been deployed to the field to assess the projects to be revived and the areas to set up new projects. Watch this film about one of our education projects in Kenya which is helping to improve prospects for these young children living in some of the poorest shanty towns in Nairobi. Qatar Airways buying a piece of Meridiana and revamping its fleet would allow it to better compete in Italy against Etihad and Emerates. Meridiana SpA, Italy’s second-largest airline, said a holding company of its owner the Aga Khan has signed a preliminary accord on a partnership with Qatar Airways. The memorandum of understanding between the Gulf carrier and Alisarda lays out conditions for a transaction to be completed in the first half, Meridiana said Thursday. Under European law, Qatar Air could buy as much as 49 percent of the Olbia, Sardinia-based carrier. “The two parties have agreed upon the pillars of the business proposition, which envisages a reinforcement of Meridiana with the objective of making it a solid player in the very competitive European aviation industry,” the Italian airline said in a statement. Qatar Airways, the second-biggest Middle Eastern operator, already owns a 10 percent stake in British Airways parent IAG SA and has been linked with Royal Air Maroc, India’s SpiceJet and SriLankan Airways. Chief Commercial Officer Hugh Dunleavy said Wednesday that it’s open to taking stakes in companies needing “more of an investment” to reach full potential. Meridiana’s 20-strong fleet is ripe for upgrade, featuring McDonnell Douglas MD-80s and first-generation Boeing Co. 737s, according to its website. The carrier connects Sardinia and Sicily with Italy’s main airports and has routes to Egypt, Greece, the Canaries and a handful of long-haul destinations. The airline, which lost 155 million euros ($171 million) in 2013, when it last posted numbers, said Tuesday that after a state-backed restructuring it had held discussions with ministers in Rome about “perspectives” for its future that include industrial partnerships. For Qatar, a deal with Meridiana would prompt comparisons with Gulf rival Etihad Airways, which has bought stakes in struggling airlines including Italian No. 1 Alitalia SpA. This article was written by Deena Kamel Yousef and Christopher Jasper from Bloomberg and was legally licensed through the NewsCred publisher network. Watch the YouTube below to learn more on what the AKDN does and its impact beyond numbers. Building on its experience in other countries, in 2010 the Aga Khan Foundation (AKF) and Aga Khan Rural Support Programme (AKRSP) began forming self-help and savings groups in rural Bihar to help marginalised women. This is the story of one of those women. &#9632;One-third are malnourished and half are anemic. &#9632;Most women spend at least six hours a day fetching water or firewood, cooking, and farming. Only a third of homes treat their water, resulting in illness, malnutrition, and lost work. &#9632;Lack of sanitation facilities affects women’s safety and rates of school absenteeism, and illness. &#9632;Only 26% of women in India have an account with a formal financial institution impeding their ability to balance family responsibilities with career or entrepreneurial opportunities. The more women come together, the more they can earn and save, the more economic benefits they bring to their families and the more voice and respect they have in their community. Elsewhere in Bangladesh, Industrial Promotion and Development Company (IPDC) has been playing a vital role in financing the women entrepreneurs of the country since 2009. IPDC aspires to have more success stories in the year ahead and stand strong beside women entrepreneurs to realize their dreams. The IPDC is the first private sector financial institution of the country established in 1981 by a distinguished group of shareholders namely International Finance Corporation (IFC), USA, German Investment and Development Company (DEG), Germany, The Aga Khan Fund for Economic Development (AKFED), Switzerland, Commonwealth Development Corporation (CDC), UK and the Government of Bangladesh. And in Tanzania, Aga Khan University – East Africa makes a statement while celebrating! Après le sauvetage d'Alitalia par la compagnie d'Abu Dhabi Etihad Airways, un autre transporteur italien, Meridiana, est en passe de se placer sous l'aile d'une compagnie du Golfe, en l'occurrence Qatar Airways. Ce mercredi, Meridiana a proposé aux syndicats la suppression de 514 postes, au lieu de 902 envisagés initialement, dans le cadre de son projet de partenariat avec Qatar Airways, qui prendrait 49% de son capital, selon les médias italiens. Le syndicat Filt Cgil (gauche) s'était dit prêt à négocier mais avait indiqué que "900 suppressions de postes n'étaient pas soutenables". Début février, Qatar Airways et Meridiana, ont signé un protocole d'accord portant sur un projet de partenariat, avait indiqué Meridiana dans un communiqué. La nouvelle proposition a été faite à l'occasion d'une rencontre au ministère du Développement économique. Dans un communiqué, la ministre Federica Guidi a appelé les parties "à rechercher rapidement" un accord sur l'emploi --en sélectionnant "les instruments nécessaires pour réduire substantiellement le nombre de suppressions de postes"-- afin de "rendre possible le partenariat avec Qatar Airways, stratégique pour le futur de l'entreprise". Ce partenariat, s'il voit le jour, doit se traduire par la création d'une nouvelle holding, dans laquelle Qatar Airways prendrait 49% du capital. Le fonds Akfed de l'Aga Khan garderait le contrôle de la compagnie italienne, basée en Sardaigne, avec une participation de 51%. Aujourd'hui, Alisarda contrôle la compagnie Meridiana mais aussi la société Geasar qui contrôle l'aéroport d'Olbia, en Sardaigne, est elle-même contrôlée par AKFED, le Fonds de développement économique d'Aga Khan qui a investi d'importantes sommes dans le tourisme sur cette île italienne. La compagnie qatarie a proposé un plan industriel sur trois ans, en prévoyant initialement 900 suppressions d'emplois sur les quelque 2.000 que compte actuellement Meridiana. L'idée de ce partenariat est de renforcer Meridiana dans le but de la transformer"en un solide opérateur de l'industrie du transport aérien et extrêmement compétitif en Europe". Meridiana a fusionné avec l'opérateur charter Eurofly puis a racheté une autre compagnie charter, Air Italy. Kampala — East African executives have commended the investments the Aga Khan has brought to the region. The EAC executives, including the Assembly Speaker, Secretary General and the Chief Justice said this during a tour of the construction site of Aga Khan University (AKU) in Arusha, Tanzania on Friday, according to a statement issued by the East African Community Secretariat in Arusha. The leaders said the university is viewed as a catalyst for transformation that will see the city expand as the intellectual, social and political hub for East Africa. 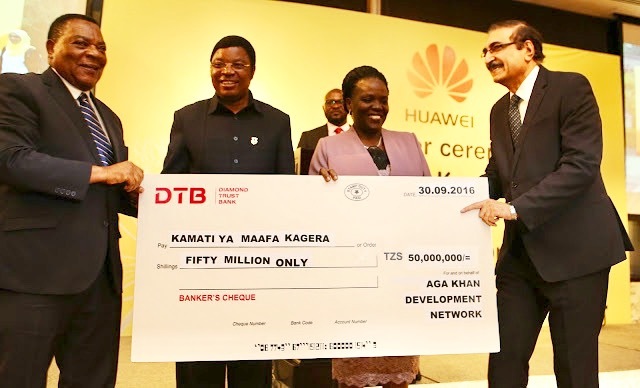 The project is part of the planned $500m (Shs1.6 trillion) expansion in East Africa by the Aga Khan. It seeks to enrol health sciences and Arts students from across the region, notably Kenya, Tanzania, Uganda, Rwanda, Burundi and South Sudan. According to the statement, the East African Legislative Assembly Speaker, Mr Daniel Kidega, was impressed with the project plan and commended Aga Khan Development Network's initiatives to not only invest for profit but also to support the population under what he termed 'humanitarian capitalism'. Construction of the Aga Khan University campus in Arusha is set to take off soon, its officials have announced. This will see Arusha -- the seat of the East African Community (EAC) and allied regional organisations -- playing an additional role as the intellectual, social and political hub of the region. The project is part of a planned $500 million expansion in East Africa by the Aga Khan. It seeks to enrol health sciences and arts students from across the region -- notably from Tanzania, Uganda, Kenya, Burundi, Rwanda and South Sudan. Senior executives of the EAC who visited the site, situated four kilometres from the heart of the city on Dodoma Road on Friday, were told that all was set for commencement of the project.The site covers 3,200 acres, of which the potential area for investment rests on 1,700 acres. EAC deputy secretary general Jesca Eriyo said the community was eager to see the project materialise for the benefit of the region in areas such as training the youth in various academic disciplines. The About section contains photographs of Deedar! Can heaven help the UN World Humanitarian Summit? Germany's government supports the participation of religious leaders in the UN World Humanitarian Summit in Istanbul. Terrorism, displacement and lack of safe access to nutrition and health care are on the agenda. Another summit participant is the Aga Khan Development Network, which has about 80,000 employees and an annual budget of $625 million (550 million euros). It has been led by the Nizari-Ismailis Shiite cleric Aga Khan for the past 60 years. •The world's largest mural being documented and studied. •Research for the real world: an insight into the eye health of the poor. •Building the resilience of rural communities against climate change in Sindh. •Queen Máxima briefed about AKDN programmes during her visit to Pakistan. •A step forward for Education: Learning condition of over 300,000 children improved in Sindh, Balochistan, Gilgit-Baltistan and Chitral. •A story of hope, motivation and access to finance from Gujranwala, Punjab. •UN and AKDN partnership responding to flood and earthquake affected areas in Chitral. •Preparedness and Response: FOCUS restoring resilience within the communities in Pakistan. •Communities provided with shelters and medical treatment during natural disasters in the mountainous north. What does Aga Khan Development Network do? The Aga Khan Development Network is involved in uplifting living conditions and improving quality of life. How do we uplift living conditions? In Uganda we operate in two thematic areas. These are economic development and social development. It was the government's wish that we help the country to develop the economy. That means building capacity, cultivating an entrepreneurial spirit, catalysing economic activity so that it creates jobs. The jobs create wealth; the people who earn the money are able to spend on education, health, on aspects that give them a quality of life. Social development is about education, health, civil society strengthening and rural development. These aspects are, historically, our core activities. Civil society is that whole area of activity that is essentially voluntary. There are a whole series of groupings in society that are fundamental to maintaining quality of life. So the Aga Khan Development Network, in part of its social development activities, supports these types of organisations. In order to strengthen civil society, it is important to have independent media. So we are involved in the whole area of media. What are some of AKDN's successes in Uganda? Securing land for building the Aga Khan Hospital, I would say, is the biggest success. Since 2012, we had been trying to find the right parcel of land. Eventually, we were successful in securing the land in Nakawa. The memorandum of understanding between the Gulf carrier and Alisarda lays out conditions for a transaction to be completed in the first half, Meridiana said Thursday. Under European law, Qatar Air could buy as much as 49 percent of the Olbia, Sardinia-based carrier..
OLBIA. The Aga Khan & The Al Thani. The one who kept alive, the ones who will have to restart it. Close to bankruptcy, Meridiana, from yesterday at 14, has a new life as a shareholder he enters Qatar Airways, one of the strongest airlines in the world and growing. After more than a year of negotiations - and with the decisive intervention of the Renzi government and national trade unions (CGIL, CISL, UIL, UGL) - the agreement was signed in London by Marco Rigotti, President of Karim aeronautics group, and Akbar Al Baker, chief of the vector properties of the royal family of Qatar. Will consist of a holding company: the Aga Khan (with a share of 51%) will put the goods (trademark, planes and routes) and will bear the debts (150 million); Qatar Airways (with 49%) will pay out the money, 50 million to 100 million, to renew the fleet and conquer new markets in Italy and Europe. Other technical steps will be completed by October because the sooner Al Baker, who always has a plan B, wants social peace of unions and company and then appoint the new high. What earns Qatar Airways? The Doha company, more than 30 million passengers, 170 aircraft (including 300 ordered), 150 destinations, winning de facto control of Meridiana and, through its certification as a European flight, will be able to travel freely in the skies of the Old Continent, putting in connection with no restrictions also with the Americas. In addition, the government will get the opportunity to open free route, in itself, between Doha and Rome and Milan. Meridiana, then, Qatar Airways enters into a rich market that until now was full of obstacles. What earns Meridiana? The company avoids the closing of Olbia, after 700 million lost in the last 8 years and with the Aga Khan decided not to finance it anymore. Enters into an alliance - long sought over the last 20 years - that can make it harder to fight with the low cost and able to provide the economic and marketing tools to grow. "The agreement lays the foundation to advance a strong solution that offers benefits to both employees and passengers of Meridiana" Al Baker wrote in a press release. "I'm sure - wrote Rigotti, who thanked Qatar, Government, Aga Khan, the signatories of the agreement saves Meridiana unions and employees who have made sacrifices - that all staff Meridiana, with their professionalism, will seize this important opportunity to build a new phase. " What are the advantages for Olbia and the Sardinian passengers? The city maintains one of its most important companies: when you resume, Meridiana will turn money in Olbia, including taxes and salaries. The Sardinians passengers may have, also because of a light work contract, a viable alternative to low cost. Meridiana, Qatar Airways and tickets competitively priced, can seriously apply to the flag of Sardinia companionship role for flights to Europe, even in low season. if they so choose, in Meridiana. They in fact it, as desired by the Government and the CGIL, CISL, UIL and UGL, the right to be called first when Meridiana will increase flights. An option that would not be there, for anyone, whether Meridiana had failed. 50 million Shs given by Ismaili community to earth quake victims in Tanzania - Amin Kurji Ismaili community ambassador giving the amount to PM of Tanzania..
AT least 11 people were confirmed dead and more than 192 injured today following an earthquake that hit Kagera and Mwanza regions. Kagera Regional Police Commander (RPC), Mr Augustine Ollomi, confirmed the reports. The earthquake measured at a magnitude of 5.7 on the Richter scale. Meanwhile, President John Magufuli has sent condolences to Kagera Regional Commissioner (RC), Retired Major General Salum Mustafa Kijuu, following the death of the residents who died from the impact of the earthquake today in the re- gion. In a statement issued by the Presidential Directorate of Communication, the president expressed deep sorrow over the tragedy, which claimed peo- ple's lives and left behind a number of others who were injured. A l’initiative de la Fondation Aga Khan à Madagascar et en partenariat avec l’IFM, un échange culturel réunissant les groupes Kutle Khan (Rajasthan) et Benja Gasy (Madagascar) donnera lieu à un concert. Kutle Khan est un collectif unique de musiciens folkloriques Rajasthanis mené par Kutle Khan, un musicien folk multi-talentueux qui s’est forgé une expérience autour de la musique world. Le groupe Benja Gasy, créé en 1990 par Benjamina RANDRIAMALALA, est composé de jeunes chanteurs, danseurs, instrumentistes, chorégraphes et luthiers… conscients de la conservation des richesses folkloriques de la grande île qui est voie de disparition. L’objectif du groupe est de conserver, transmettre, partager et faire connaitre au monde entier le patrimoine culturelle Malagasy à travers les musiques et les danses traditionnelles. At the initiative of the Aga Khan Foundation in Madagascar and in partnership with the IFM, a cultural exchange bringing together groups Kutle Khan (Rajasthan) and Benja Gasy (Madagascar) will result in a concert. Kutle Khan is a unique collective of folk musicians led by Rajasthanis Kutle Khan, a multi-talented folk musician who gained experience music world. Benja Gasy The group, created in 1990 by Benjamina Randriamalala, is composed of young singers, dancers, musicians, choreographers and luthiers ... aware of the conservation of folklore wealth of the large island that is endangered. The group's objective is to preserve, transmit, share and make known to the world the cultural heritage through the Malagasy traditional music and dances. In the last decade, the upheavals of the Arab Spring, the U.S.-led invasions of Iraq and Afghanistan, and the rise of religious extremist groups in many parts of the world have redrawn the development map. In response, international donors have poured money into countries upended by these forces, where they hope it can contribute to stability and international security. The Aga Khan Foundation — one of the Aga Khan Development Network’s 10 “sister agencies” — was present in many of these places well before foreign aid agencies began to consider “countering violent extremism” central to their strategies. Many of AKF’s programs, which range across 16 countries, are in tough neighborhoods. The foundation, founded in 1967, began its work in northern Pakistan. It’s largest program today is in Afghanistan. Violent extremist groups such as Boko Haram in West Africa, al-Shabab in East Africa, al-Qaida and the so-called Islamic State groups in parts of the Middle East threaten state security and development progress in the countries where they continue to operate. Devex caught up with Michael Kocher, AKF’s general manager, in Naryn, Kyrgyzstan, at the inauguration of the University of Central Asia, another Aga Khan initiative. UCA is an international, secular university, chartered by the governments of Kyrgyzstan, Tajikistan and Kazakhstan, and by the Aga Khan. It aims to build a world class educational institution dedicated to mountain development with campuses in each of the three cities. We asked Kocher what it takes to manage a development organization with a long-term stake in a complex region — where security, politics, and international attention can change quickly. Here’s an excerpt from our conversation with Kocher, lightly edited for clarity. •The goal of the programme is to improve health systems and to strengthen health outcomes of expectant mothers and children in the county. •Canadian High Commissioner to Kenya Sarah Hradecky said the project will involve equipping and upgrading of the county hospitals. •She added that it will also involve facilitating e-health to the communities. •Kilifi Governor Amason Kingi said his government has taken strides in addressing child morbidity and improving health in the county. The Aga Khan Development Network (AKDN) has partnered with Kilifi County government and the Canadian government to address infant mortality and maternal deaths in the county. In the four-year partnership, AKDN through the Aga Khan Foundation (AKF), the Aga Khan University (AKU) and the Aga Khan Health Services (AKHS) will offer quality healthcare services to expectant women and other residents. “This project is about the people of Kilifi and we hope to see improvement in the health systems and strengthen health outcomes in the county,” said AKF Region CEO Kevin Moorhead during the launch of the programme at Gotani Health Centre in Kilifi. He added that the goal of the programme dubbed ‘Access to Quality Care through Extending and Strengthening Health Systems (AQCESS)’ is to improve health systems and to strengthen health outcomes of expectant mothers and children in the county. Canadian High Commissioner to Kenya Sarah Hradecky said the project will involve equipping and upgrading of the county hospitals as well as providing quality healthcare services to new-borns through treating infections and dealing with malnutrition. She added that it will also involve facilitating e-health to the communities. “Reproductive health is a human rights issue which needs comprehensive approach in addressing it. Kilifi Governor Amason Kingi said his government has taken strides in addressing child morbidity and improving health in the county. He said his administration has prioritised on improving health and the project will go a long way in addressing the burden of maternal and infant deaths and illness. “When we took over leadership, child mortality and maternal deaths were too high. That is why we made a deliberate decision to improve health infrastructure so that our mothers can deliver without any complications,” said Governor Kingi. Despite the countrywide decrease in maternal deaths, Kilifi still features among the 15 counties with high maternal deaths. Aga Khan Development Network (AKDN) has announced Prosperity Cup 2016 to encourage young men and women from Gilgit-Baltistan and Chitral (GBC) to start their own business. The Prosperity Cup applicants will be inducted through an incubation process called Accelerate Prosperity. The project is being implemented through Aga Khan Rural Support Program (AKRSP) in association with The Indus Entrepreneurs (TiE) Islamabad chapter. The competition will kickstart startup activities in Gilgit-Baltistan and Chitral, which is very much the need of the hour. The incubation process will start on November 15, 2016, which is also the deadline to submit a business idea. An application form has been made available on the official website that can be filled before the deadline. This would be the first time such a contest is being held in the region. The competition is open for anyone from Gilgit-Baltistan and Chitral no matter if the applicant is living within GBC or somewhere else. A set of rules and competition guidelines to enter the Prosperity Cup have been provided on the website as well. Seacom says it will pursue acquisitions as it looks to target fibre-to-the business in metro areas in South Africa. Seacom’s shareholders include Remgro (30%), Sanlam (15%), Convergence Partners (15%), Kenya’s Aga Khan Foundation (30%) and founder Brian Herlihy (10%). Seacom currently leases dark fibre from a number of providers, and will also look to trench its own fibre in certain areas as it targets growing commercial parks. “Last mile is the key value capture,”said Clatterbuck. “In our industry, you need to capture as much revenue as you can…get as much traffic on your network as you can,” he said. The submarine cable operator, which has a network of submarine and terrestrial high-speed fibre-optic cable serving the East and West coasts of Africa, launched its enterprise unit at the back end of last year. The company said it has signed up 1,000 direct and indirect customers since its launch in October 2015, including Allan Gray, Outsurance, Dischem, Alexander Forbes, Prudential, and Coronation. The head of Seacom’s enterprise segment, Grant Parker, said 90% of the clients are in South Africa. The group, which has a staff compliment of 25 people in South Africa, has 120 partners locally and 10 in Kenya, and is activating 100 services per month. Amritsar: The Heart Of Asia conference in Amritsar called for immediate elimination of terrorism to help the war-ravaged country in its political and economic transition. 33. This Declaration was adopted in Amritsar, India on 4 December 2016, by the Foreign Ministers and high-level representatives of the participating countries of the Heart of Asia-Istanbul Process: Islamic Republic of Afghanistan, Republic of Azerbaijan, People's Republic of China, Republic of India, Islamic Republic of Iran, Republic of Kazakhstan, Kyrgyz Republic, Islamic Republic of Pakistan, Russian Federation, Kingdom of Saudi Arabia, Republic of Tajikistan, Republic of Turkey, Turkmenistan, the United Arab Emirates, and the United Nations. This Declaration was welcomed and supported by the Foreign Ministers and high-level representatives of the supporting countries of the Heart of Asia-Istanbul Process, and the high-ranking representatives of the supporting international and regional organizations: Commonwealth of Australia, Canada, Royal Kingdom of Denmark, Arab Republic of Egypt, European Union, Republic of Finland, Republic of France, Federal Republic of Germany, Republic of Iraq, Republic of Italy, Japan, Republic of Poland, Norway, Spain, Sweden, the United Kingdom, the United States, Aga Khan Development Network (AKDN), Asian Development Bank (ADB), Conference on Interaction and Confidence Building Measures in Asia (CICA), Collective Security Treaty Organizations (CSTO), Economic Cooperation Organizations (ECO), North Atlantic Treaty Organization (NATO), Organization of Islamic Cooperation (OIC), Organization for Security and Cooperation in Europe (OSCE), Shanghai Cooperation Organization (SCO), and South Asian Association for Regional Cooperation (SAARC). Jubilee Life Insurance, the leading private sector life insurance provider in the country, has been awarded Brands of the Year Award for 2015-2016 in the life insurance industry. The much-awaited awards ceremony was held recently at Grand Convention Marquee PAF Museum, Karachi. The Chief Guest at the Ceremony was honourable Chairman Senate Raza Rabbani. The prestigious award was received on behalf of Jubilee Life Insurance Company Limited by their Head of Corporate Business Distribution, Faiz ul Hasan. Talking about this achievement Hasan said, "This is indeed a great moment of pride and a milestone for Jubilee Life to receive this astounding honour. This award is a testament of our success from being the leading insurance service provider of the country to becoming the brand of the year. Jubilee Life, post our re-branding, aimed at creating awareness for the common man for sound understanding of financial solutions. We have done several campaigns with the same objective and have achieved remarkable results over the years. This award reaffirms our faith in the direction we have taken for branding and we will continue to surprise our consumers with meticulously planned new products." Brand of the Year Award is recognition for brands recognised as champions in their industry for a leading performance. Its evaluation process is comprised on a nation-wide quantitative qualified consumer survey, expert analysis and attributes based on qualitative brand research. The rise of a new global politics, together with economic and cultural globalisation, has placed new demands on learning – where we learn, what we learn, when we learn, and how we learn. This seminar series, convened in partnership with the Aga Khan Foundation, seeks to explore what we know about learning and where it occurs. It examines what we know about learning as formal outcomes of schooling but also what it means to learn to be, and to learn to become. As societies become more diverse, how do we learn to live together? What is the role of pluralism in and through education? As economies change at speed, how do we learn to adapt? As technology develops at pace, how do we learn to interact with new screens and new media in socially, politically and economically productive ways? As the politics of colonialism and repression in the past begin to unravel, how do we learn to engage with the challenges of the present, and of the future? The seminar series will bring together 24 distinguished speakers from around the world to discuss the meaning of learning in various contexts, including but not limited to North America, Europe, the Middle East, East Africa, Central Asia, and West Africa, South America, and South Asia. The following seminars will be given at 5pm on Tuesdays in the Syndicate Room at St Antony’s College. The University of Oxford and the Aga Khan Foundation have launched a new programme of research that seeks to re-examine the meaning of learning in an uncertain world. We believe that now more than ever there is a need to think again about the nature of learning and the variety of contexts in which it takes place; to think again about the shape of the institutional frameworks in which education is given; and to interrogate more robustly the discourse that seeks to define education – as being of good quality or not, inclusive or not, effective or not - when tensions between efforts that value the development of open-mindedness, of intercultural understanding and of comfort with diversity, and those that look towards education to retract in favour of singularity, of certainty and of definitive standards, are at their most heightened. The research programme in its inaugural year intends to inspire new conversations, papers, and studies about the nature and meaning of learning in a world in flux. We aim to raise critical questions about where learning occurs and what this means for development; about the mediational means with which learning takes place and what this means for technological advancement; how we learn and what this might mean for the formal curriculum and for teaching; and what we learn about what we know of the past and present so that it might prepare us for what we do not know about the future. •Carry out an empirical study into how children learn through technology and activity. •Organise a high-level conference to tease out the policy implications of our emerging research and thinking (set for June 8-9, 2017). More information about the conference will be posted soon on this site. How do we provide an education that helps students better develop open-mindedness, intercultural understanding and comfort with plurality and complexity in a global context? WEEK 2 | Systems: Systems learning or learning systems? WEEK 4 | Pluralism: Learning to change or learning for change? WEEK 5 | Social Emotional Learning: Essential dispositions in a challenging world? Matt Reed, CEO of Aga Khan Foundation UK, at the Jaipur Literature Festival. Flying back to India after several months away, I am excited to return to a country I called home for three years. One of the annual highlights of my time here was the Jaipur Literature Festival, which combined all the things I loved most about India: its intellectual energy, its zest for life, and its intense opinions. It is fitting then that I return this week to speak at JLF, where, among others, the Aga Khan Foundation is sponsoring a session on the role of the liberal arts and the sciences in building strong societies. Marking its 10th anniversary, the Jaipur Literature Festival has been celebrating reading and learning – and all that is best about India’s vibrant, noisy, loquacious democracy – for a decade. JLF is a symbol of how India’s multi-decade investment in its universities, combined with its centuries-old love of learned inquiry and philosophical reflection, have underpinned its modern development and its social, economic, and technological achievements. Acknowledging India’s rise is not to ignore its myriad challenges. Too many people live in poverty, with too few job opportunities. Too many children go to bed hungry, malnourished and stunted. Too few have the opportunity to attain a basic education, let alone earn university degrees. Nevertheless, the progress made over the past twenty-five years has been substantial. India’s highly-educated college graduates and good universities are a vital resource for the country’s future, underpinning the social and economic gains already made and those that will narrow the numbers of the poor and excluded in the decades ahead. In the 1960s, when many development economists scoffed, India made significant and fundamental investments in higher education, especially its well-regarded IIT system. Thirty years later, it was India’s example that led to a re-evaluation of higher education’s value by the World Bank and others, and a new appreciation for the gains that strong universities can bring to countries with undereducated populations and extreme poverty. India’s example, along with decades of experience in Asia and Africa, is among the sources of inspiration for one of world’s boldest academic debuts. In September, the University of Central Asia admitted its first undergraduate class and inaugurated its first campus in Naryn, a secondary town in the Kyrgyz Republic near the Chinese border. It is the first of three such campuses planned in the region under a unique partnership between the governments of Kazakhstan, the Kyrygz Republic, Tajikistan and the Aga Khan Development Network. The objective is to establish a world-class regional university in the heart of Central Asia. By offering a top education in the liberal arts, as well as traditional science and technology disciplines, UCA will help train the next generation of Central Asian leaders – leaders with the skills and creative thinking needed to respond to regional challenges and opportunities. Just as the Silk Route brought learning and prosperity to Central Asia and Europe, UCA seeks nothing less than to catalyse an intellectual and economic transformation on the Central Asian steppe, especially among its remote and marginalised mountain communities. Against this backdrop, the Aga Khan Foundation and Wesleyan University will convene a discussion in Jaipur this week on “Building Countries: Science or the Liberal Arts?” Anchoring the panel is Michael S. Roth, President of Wesleyan and author of the well-regarded Beyond the University: Why Liberal Education Matters (2015), which makes a strong case for the value universities bring to societies, especially the constructive role they can play when combined with the critical and creative faculties nurtured by the liberal arts. Harvard’s Tarun Khanna will speak about his research over two decades into the fundamentals that drive growth and entrepreneurship in emerging markets, of which higher education is certainly one. Aditya Mukherjee, Director of JNU’s Center for Advanced Study, Devesh Kapur, Director of the University of Pennsylvania’s Center for the Advanced Study of India, and the renowned poet and author Sukrita Paul Kumar, will each draw on the Indian experience, which has benefited greatly from its well-educated diaspora as well as those taught in its own institutions. I will speak about AKDN’s experience at UCA and the Aga Khan University, which in South Asia operates in Pakistan and Afghanistan, and in East Africa has a presence in Kenya, Tanzania, and Uganda. Amidst headlines around the world about fake news, populist sensation, and illiberal tendencies, gatherings like the Jaipur Literature Festival are important. They remind us that ideas matter, but that they matter most when subject to critical scrutiny, rigorous debate, and open dialogue. Whether through traditions like JLF or institutions like universities, our countries need these pillars of civil society to help us understand our changing world, imagine alternatives, and debate our futures. As we join in Jaipur this week to celebrate JLF’s first decade and launch its second we do well to remember that it is on such foundations that stable, successful, pluralistic societies are built and maintained. February 2, 2017, Dar es Salaam, Tanzania: The Aga Khan Foundation (AKF) is implementing an agro-business project that will create 200 enterprises and generate at least 5,000 jobs in Lindi and Mtwara regions. The AKF senior programme officer for Enterprise and Economic Development, Ms Tahira Nizari, told The Citizen here yesterday that the three-year project was launched on Monday this week. At least 3.1 million euros (Sh7.2 billion) will be injected into the project. Of the 5,000 farmers, 2,000 will be women. At least 400 people will be brought into jobs, and at least 200 businesses will be established and supported. “We will train smallholder farmers to engage in agribusiness projects for generating incomes for their households,” said Ms Nizari. Financed by UKaid, the Norwegian Agency for Development Cooperation, the LNG Plant Project and the German government, the project’s long-term plan is to create value chain in agriculture, AKF country manager Abid Mallick said in a statement. Known as ‘Kilimo ni Biashara’, the project will involve mobilising farmers to create value chains. It focuses on vegetables, chickens, eggs, pulses and rice. Two years ago, India’s prime minister, Narendra Modi, made a bold statement: India, he said, would eliminate open defecation by October 2019. To accomplish this enormous goal, the Indian government aspires to build 120 million toilets in rural India. The budget for the massive public project, which is referred to as Swachh Bharat Abhiyan (Clean India Mission), is INR 200,000 crores ($29 billion). The solution, though, is not as simple as just handing out free toilets. The people of India need to be compelled to change long-entrenched habits as well. As the Aga Khan Development Network (AKDN) argues, it will take a three-pronged solution—a combination of funds, raw materials, and human capital—with India’s citizens fully engaged on each front, to yield a successful rollout of toilets across India. To that end, several agencies of AKDN have been working with India’s government to develop more community-driven approaches to building toilets in villages. Specifically, between 2015 and 2019 the Aga Khan Foundation, the Aga Khan Rural Support Programme, Aga Khan Health Services, and the Aga Khan Agency for Habitat are facilitating access to sanitation for 100,000 families as well as improving water, sanitation, and hygiene in 538 schools. AKDN is working in the states of Bihar, Gujarat, Madhya Pradesh, and Uttar Pradesh, and plans to expand to Hyderabad and Maharashtra.